We expect a new car to start, take us where we want to go and stop. That's true most of the time but my very first “new car” was a lemon. 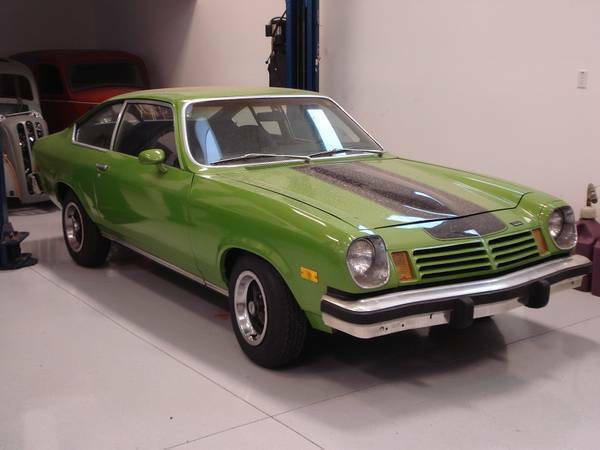 It was a Chevrolet Vega (take a peek). To improve gas mileage, they made the engine block from aluminum. Unfortunately the head sitting on top of the block was made from cast iron. The two metals expanded and contracted at different rates, so around 12,000 miles, I'd go to the gas station to fill up on oil. There are lots of new, smart home products coming on the market but many need a few years to find and correct design and manufacturing problems. Our kitchens don't look like those of the Jetsons yet, if you're old enough to remember them? Popular in the 1960s, the Jetsons lived somewhere in the future while the Flintstones lived in cave like homes. So naturally I expected this smart oven to be named after Jane, the Jetson mom. Close but not quite so while Jane Jetson was fascinated with new gadgetry, this new oven is named June. While I no longer consider a microwave a gadget (read: How Many Kitchen Gadgets Do We Really Need), the June Oven is not a microwave. The size and the fact that it sits on the countertop is misleading but the June Intelligent Oven is … actually a convection oven! An extra pair of eyes watching what's cooking, so you can monitor on your smart phone because I'm not one to sit in the kitchen for long. Cooking automation where the oven identifies what you're cooking, weighs it and handles the settings so you don't have to look at a cookbook or Google a recipe. Built-in food thermometer that monitors how quickly the food is cooking and makes any needed adjustments. User friendly interface that looks and feels a lot like your smart phone. Notifies you with a text message when the food is done, so no more forgetting that you started dinner … and it will turn the oven off to nothing gets burned. This is probably the most important feature for me. I'm always multi-tasking and don't believe in watching food cook which drives my husband crazy. 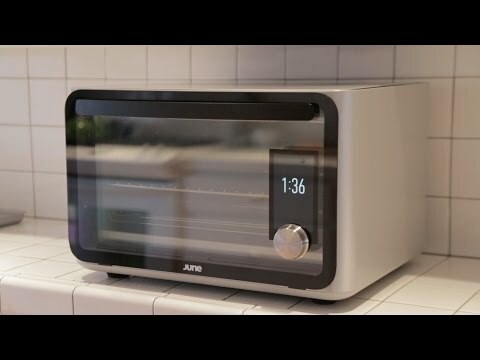 Read the TechCrunch review for more information including one woman's experience using the Jane Intelligent Oven. We'll all have stoves like this in ten years. For now I'm going to wait until the price drops below $1,000 and there's a built-in model as I'm not likely to give up any space on my countertop for this … or any other gadget (added January '17). It seems like every manufacturer wants to integrate technology and participate in the smart home world. Some products are now cheap enough that most homeowners can afford them, like video monitoring cameras. Other products are fun gadgets like Amazon's Echo. Some products like Philips Lightbulbs or colored ones, fall into the gadget category. We've made lighting more functional over the years with 3-way switches, motion sensors and timers that turn lights on/off to simulate someone at home. What i like about these features is you make a decision once, setup the lights and forget about them unless they stop working. So I'm not sure why I want to control my lights from my smart phone or program lighting scenes (check out 19 Awesome Lighting Scenes because I'm not a believer) that you need to turn on? leakSMART is an ambitious product, offering an end-to-end solution to stop water leaks. It uses sensors to monitor for water leaks 24/7. When a problem is identified, it automatically shuts off your home's main water supply to minimize damage from a leak. Amazon reviews are mixed with several homeowners outlining numerous problems installing the product. If you're already using one of the popular home automation products (Wink, IRIS, Zigbee or Nest), you might be ready to install this product. However, with a price over $500, high for smart home products that don't have a strong tract record, we suggest waiting (added December '16). Breakfast Choices: Cheerios or Cheese?